Tommy Dunne comes into the Tipp senior management team with Liam Sheedy. The Tipperary County GAA Board has formally ratified the appointment of former All-Ireland winning senior hurling captain Tommy Dunne, and All-Ireland medalist, Darragh Egan (Kiladangan) to join Liam Sheedy on the Premier County's senior management team. A meeting of the County Board in Thurles Sarsfields GAA Clubhouse tonight finally ended the lengthy process to replace Michael Ryan, Declan Fanning, John Madden and Conor Stakelum, after they had stepped down during the summer. While the new management team has a very distinct northern feel to it, there is vast experience with Dunne having previously acted as Coach to the senior and minor teams, and Egan very highly regarded as a Coach also. Another selector is to be added to the ticket in the coming weeks. Liam Sheedy had taken his time to finalise his backroom team also and Cairbre Ó Caireallan will be looking after strength and conditioning, while former player Paddy O'Brien of Toomevara will continue as Physio. Meanwhile, the full list of management teams have been announced also with the slight exception of the Tipperary u-20 football team which sees former senior boss Tom McGlinchey return as Manager. The Cork man has been in charge of Waterford in recent times, but returns to Tipp and will name his completed management set-up in due course. Also back in the Premier fold is another Corkman and former senior football Manager with Tipp, Peter Creedon, who is in the minor set-up for 2019. 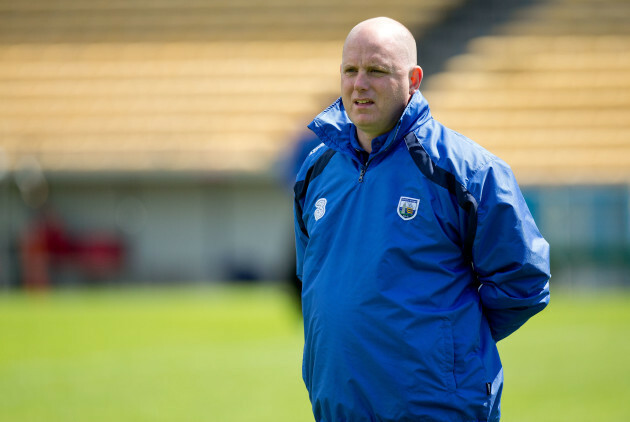 Tom McGlinchey joins the Tipperary u-21 football management team. With Tommy Dunne now moving from the minor set-up to take up position with the seniors, Drom-Inch Paul Collins steps in as Manager and will be joined by former senior All-Star Shane McGrath (Ballinahinch), Ger Ryan of Cappawhite and Tony Shelly of Killenaule. Paudie Kissane and Martin Horgan come into the Tipperary senior football management team to join Liam Kearns who continues in the role as Manager. Tom McGlynchy - Manager, Paddy Flaherty - Coach/Selector with remaining selectors to be confirmed in due course. Matt O'Doherty - Manager (Arravale Rovers), Peter Creedon - Coach/Selector, Johnny Nevin Coach/ Selector (JK Brackens), Vivian Downey - Selector (Upperchurch-Drombane), James Boland - Selector (Inane Rovers), and Jason Coffey - Strength & Conditioning (Ardfinnan) and Tomás Ryan - Physio. All teams and managements were wished well by Board Chairman John Devane who looked forward to 2019 being a huge year for Tipperary.